Shija Foundation formerly named as Shija Health Care & Research Institute (SHCRI) was initiated on 10th September, 1992 as a non-profitable, non-political, non-sectarian, non-religious, secular voluntary organisation by a group of young people having some professional background as doctor, advocate, social work, agriculture, economics etc. to support/undertake responsibilities in community development and co-operation to make health substantive of the poor/ backward people. The Registered Office of The Shija Foundation is at Langol, Imphal, Manipur. This institute was established to cater the needs of the state and its people who are socially and economically poor and backward. To provide service to society; in education, health, environmental and socio-economic activities, and seek to improve the quality of life for the poor and underserved population of the state. To set up institutes, where health related personnel can undergo training, so as to enable them to render quality health services. Strategic planning & execution for social awareness about diseases & prevention, exchange of advanced medical technology with India & aboard. To provide comprehensive healthcare services at affordable cost to the poor and underserved. 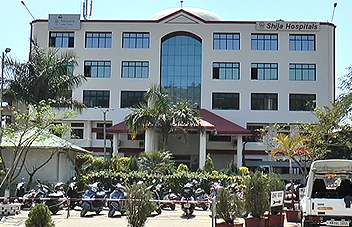 Shija Health Care & Research Institute is operating mainly in the whole of Manipur State.